Lotus Notes is an enterprise-level email platform that is mostly used in different organizations and workplaces. Every account of Lotus Notes is associated with storage NSF files for storing their data items. However, due to the complex interface users of Lotus Notes wish to convert their NSF files to another email client like Apple Mail. However, the user may wish to store the data in NSF file to other file formats like apple mail email Client for easy access and more security. 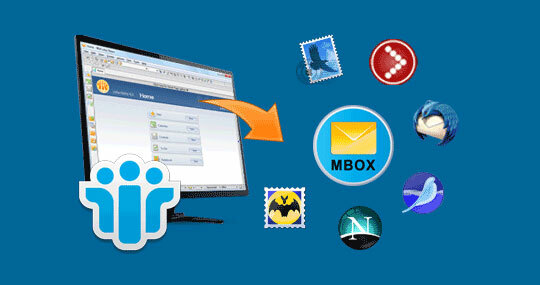 Users generally migrate from Lotus Notes to Apple Mail freeware email client due to its remarkable features. This migration task is made easy by Lotus Notes to MBOX Converter, which allows an easy file conversion. In this article, we will be discussing the method to convert Lotus Notes to Apple Mail. Additional maintenance charges involved in Lotus Notes usage may be unaffordable for many users. High-level security imposed on Apple Mail email client extends the security of Notes database. Lotus Notes needs to be purchased while Apple Mail is the default email client of Mac system. In order to overcome the situations stated above, users can opt for an effective solution i.e. Lotus Notes to Apple Mail Converter to import all the items in NSF to Apple Mail. It enables the user to convert multiple emails from Lotus Notes to Apple Mail supported MBOX file, maintaining its folder hierarchy. Migrate Lotus Notes to Apple Mail with intelligent device Outside, If you want to change your Operating system into Window to Apple Mail and need to change your email client too so that you can take help Lotus Notes to MBOX Converter that Support MBOX mail Extension. The tool not only supports conversion of NSF file of any size but also ensures that the Meta-property of the emails is kept intact after conversion. Download and install the Lotus Notes to Apple Mail Converter on the system. Before starting the tool, Ensure the presence of Lotus Notes environment in the system. Launch the tool and click on Add file to select files manually or Add Folder to add all the files in a folder. Click on Browse to specify the destination path for saving the resultant Apple Mail files. The user can choose the option to maintain the folder hierarchy by selecting Yes or No. Click on the Export option to start the conversion process of Lotus Notes to Apple Mail File. Upon successful export process, a pop-up will appear notifying the completion. Go to the path and verify the presence of output Apple Mail file after conversion. The article has been aimed to study about multiple scenarios where the conversion of Lotus Notes to Apple Mail becomes necessary. Due to the complexities and additional cost involved in using Lotus Notes, most of the users wish to switch from Lotus Notes to other easily available email client like Apple Mail. Convert Lotus Notes to Apple Mail with intelligent device Outside the, if you change your operating system into Window to Mac mail and need to change your email client too then can take help Lotus Notes to MBOX converter and also support for MBOX extension. Everybody has a reliable tool, NSF to Apple Mail Converter for Conversion of data from Lotus Notes NSF to Apple mail along with the stepwise procedure. It further defines a solution that allows the user to convert all the items in Notes to Apple Mail along with the explanation of its working.